Disasters are predictable, but not when, where or how they occur. What is predictable is that that they WILL occur and that has always been the case for Haiti. 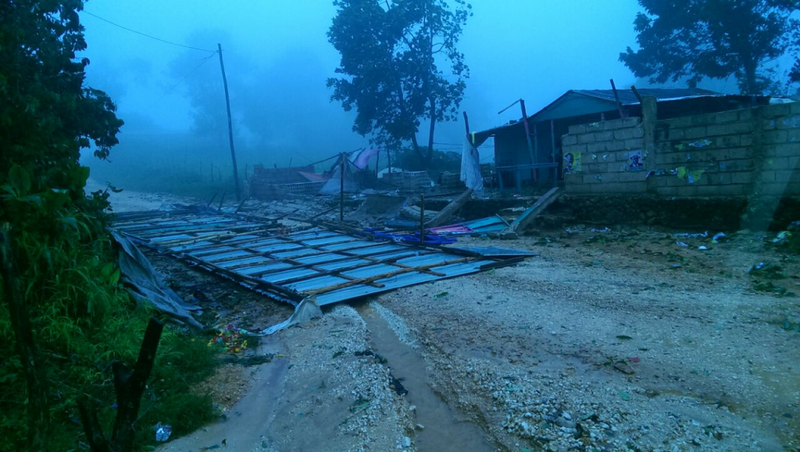 On October 4th, Hurricane Matthew struck the eastern end of the southern peninsula of Haiti with 140 mph winds, a strong storm surge and devastating winds. The same day, I flew as part of the Heart to Heart International advanced team to assess the damage to our existing programs in Haiti and to provide assistance in the worst hit areas. The damage was immense. 350,000 people lost their homes and were in need of assistance, over 1000 people lost their lives and 100% of the crops in the province of Grand Anse were destroyed. With the disrupted water and sanitation, cholera is now stalking the land and will probably cause more loss of life than the direct effects of the hurricane. Hurricanes are a natural occurrence and have plagued mankind as long as we have lived near the oceans. What isn't natural is the increasing intensity and frequency of these storms. Up to 90% of the excess heat due to global climate change is stored in the upper levels of the oceans. Hurricanes are triggered by the atmospheric disturbances caused by the warm ocean water. The more heat in the ocean water, the more energy available to grow the hurricane. With the continued rapid warming of our planet, we are growing and will continue to grow increasingly severe hurricanes. This mostly affects the poor. In the developing world, the poor live clustered to the ocean’s shore on the least desirable and most vulnerable land. They are typically the last to leave the path of a hurricane because of the difficulty in getting the news to them and their desire to protect their unsecured possessions. Their loss of life becomes another disaster that is again sadly predictable. Jesus said that the poor will always be with us, not as a statement of resignation, but a reminder that our responsibility to care for the least of these among us will never be over. For Haiti, this means doing all we can to slow global climate change and to help protect those who cannot protect themselves. Hurricanes will occur but we must work to lessen their impact. This is our call. 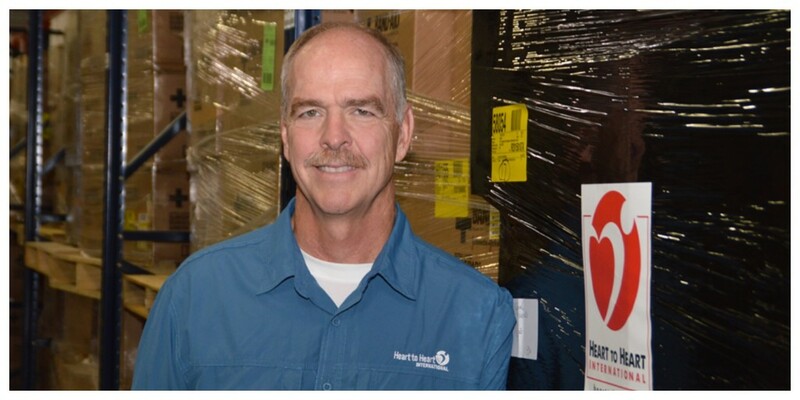 Rick Randolph, MD, is the Chief Medical Officer of Heart to Heart. For the past two decades, he has provided primary care, disaster response and public health in the US and globally. Rick holds a certificate in Public Health in the Developing World. Rick and his wife, Jo, are members of Grace Covenant Presbyterian, Overland Park, KS, an Earth Care Congregation. 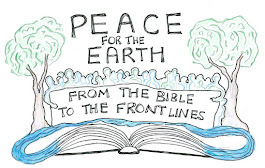 PEC is grateful for their ongoing and invaluable eco-justice work in the congregation, presbytery and with PEC and Environmental Ministries. Vickie Machado is a member of the EARTH team and the EcoStewards Program. She lives in Gainesville, FL. Be on the lookout! 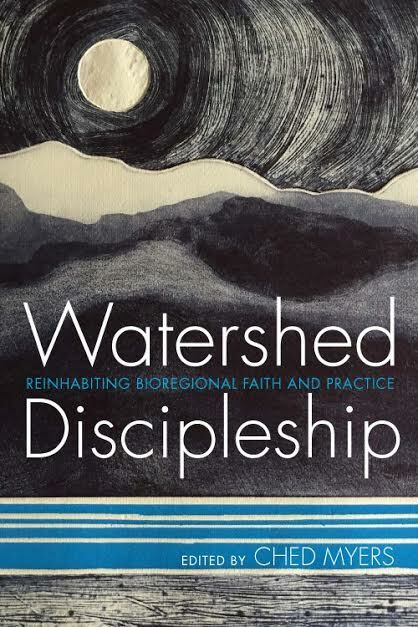 Activist theologian and biblical scholar Ched Myers announced the upcoming debut of his edited anthology, “Watershed Discipleship: Reinhabiting Bioregional Faith and Ethic.” The book includes more than 15 different authors and is set to be published by Cascade Books. “Watershed Discipleship” ventures beyond Creation Care as it takes into account education, advocacy and organizing to “learn, love and save real places.” It recognizes we are in a watershed moment and that we as Christians must “choose between denial and discipleship.” This book explores the grassroots initiatives people of faith are enacting and engaging in with regards to watershed discipleship in their areas. More information about "Watershed Discipleship” can be found at here. Bobbie McGarey serves as pastor of New Life Presbyterian Church, Albuquerque, NM. You can cast a shadow to be seen for miles and miles. I'm delighted to write about three EARTHkeepers! Village Presbyterian Church in Prairie Village, Kansas, has long been known for community mission engagement and social justice work. The congregation is well respected both locally and nationally for their leadership. PEC would particularly like to recognize the work of their Environmental Action Committee, which has served as a model for education, action, and community partnership in eco-justice advocacy. They list their work as being a "bold witness by advocating environmental Justice for all creation." They are a 6th year Earth Care Congregation and spearhead year-round programming in their advocacy. Their work has included organizing electronics recycling, and leading congregational education and action on climate change, water as sacred resource, and fossil fuel divestment. The committee maintains a prominent permanent bulletin board highlighting environmental issues. Since 2009 they have granted Earth Stewards Awards, sharing 21 awards to couples, individuals, and one family who model Creation care in the congregation. They have also gifted Green Bibles to all staff, sharing 30 to date. Jerry Rees is currently chair of the Environmental Action Committee. He is a very active member of Earthkeepers of Heartland Presbytery and the Sustainable Sanctuary Coalition of Kansas City, an ecumenical, faith based eco-Justice organization which meets at Village. Jerry is also a member of the Advocacy committee of PEC and was previously a Regional Rep for the Midwest Region. Jerry has worked tirelessly in encouraging people to be aware of environmental needs in the nation and region and helped organize and send environmental overtures through the Presbytery to GA. Jerry does an excellent job of sending emails about eco-happenings and has been politically active in the Kansas capital in the area of environment. Al Pugsley has initiated a funding of many church solar installations in the Kansas City area and around the US. He has very generously purchased multiple solar panels for Heartland Presbyterian Center in Parkville, MO; Mosier, Oregon; Poipu, Kauai, Hawaii, among other sites. He has also tirelessly promoted electric transportation (connected to solar energy) and regularly organizes and hosts an Electric Car Expo at Village. Al enjoys weatherizing his home and encourages others to do the same. Al is also a member of the EAC, Heartland Earthkeepers and Sustainable Sanctuary. Chuck Gillam is an active member of Village EAC, Earthkeepers and Sustainable Sanctuary. 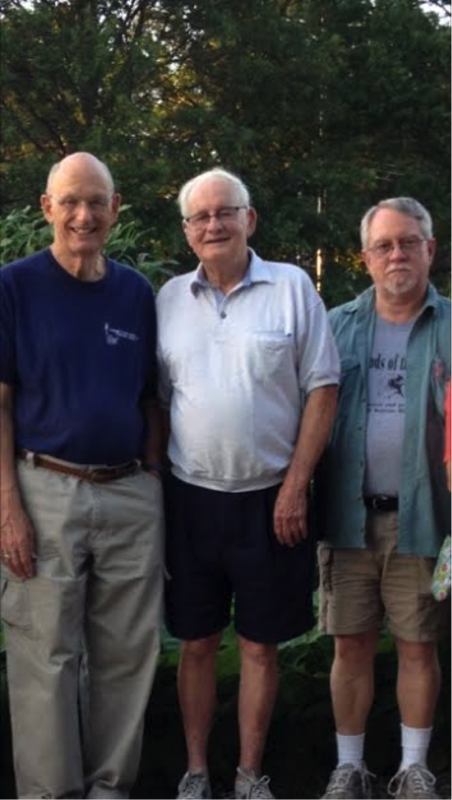 Chuck, along with Jerry and Al, has also taught Sunday School classes and arranged for classes, Through "Village U", evening continuing Ed classes, in eco-Justice. He has connected us with his daughter, Carey Gillam, a brilliant journalist who has been a true leader in sharing enlightening articles on environmental concerns such as GMOs. I am very grateful for Jerry, Al, and Chuck, as members of Village and for being faithful supporters of Earthkeepers of Heartland Presbytery, our presbytery eco-justice team. They have helped arrange for monthly meetings of Earthkeepers and, as founding members, have faithfully supported and attended meetings ever since. They are truly EARTHkeepers! Rev. Robin Blakeman, Ohio Valley Environmental Coalition Organizer, WV Presbytery Stewardship of Creation Ministry Team leader & WV Interfaith Power and Light Steering Committee member. In late June of this past year, clouds settled over the mountains of West Virginia (WV), and rain began. At first, this seemed like a normal summer storm system, but quickly reports of flooded communities were heard across the state news channels. Some communities got over 10 inches of rain in less than a day! Anyone who knows anything about WV topography knows that many of our communities are located in narrow river or creek valleys – in between the lush and beautiful mountains that interconnect across the Appalachian mountain chain. We are located in what is referred to as a “temperate rainforest region” – the second most diverse such region on the planet. Our intact mountains, forests and streams can actually serve as a sponge during normal summer storms, absorbing and filtering a lot of water. This, however, was no “normal” rain event. 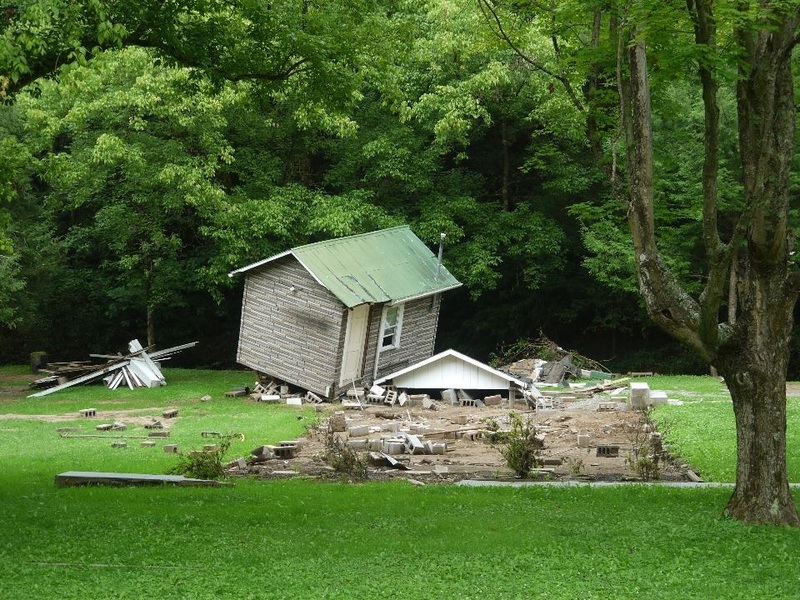 This was especially true in the community of White Sulphur Springs, WV – where normally small and tranquil trout streams quickly swelled and converged into a torrent that looked more like the muddy Mississippi River! 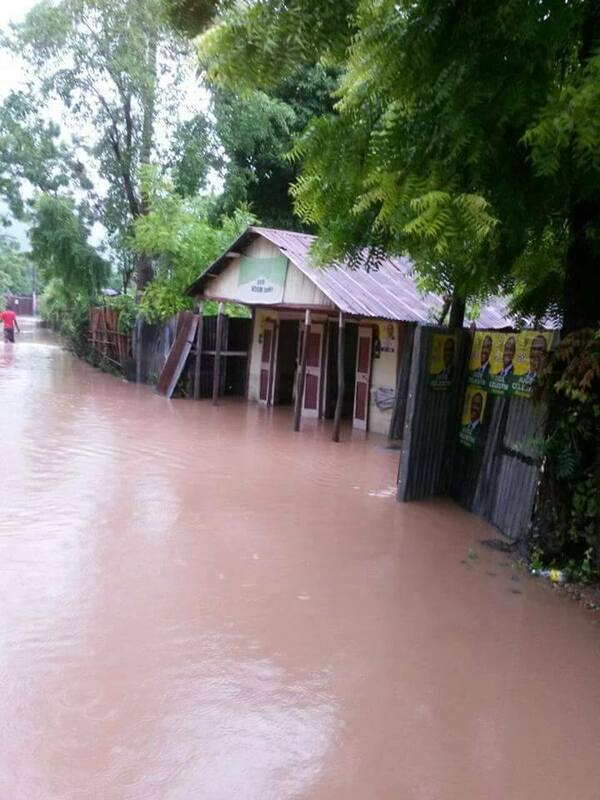 Unfortunately, many homes were in the flooded valleys and many people lost everything, including 23 people state-wide who lost their lives. There were multiple other communities in which homes, businesses and schools were heavily affected; the infrastructure in many communities was decimated. White Sulphur Springs, for example, lost its water main, and the town water tank was subsequently drained; there was no public water service available to the town for at least the first month following the catastrophic flood. 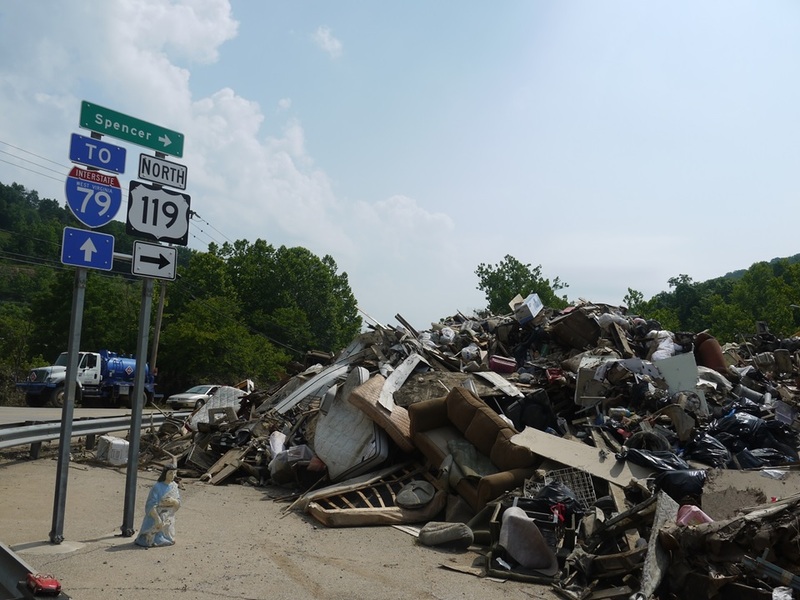 West Virginia is still in recovery mode; there will be rebuilding going on for years, and some communities will not recover well. Our state leaders are extending state of emergency declarations and appealing to the Obama administration for more federal aid, even as I write this article. This is ironic, considering the budget cuts and delays in establishing a budget that have happened in recent years in our state government. There are many people who want to call this past summer’s floods “1000 year floods," but that number is misleading. 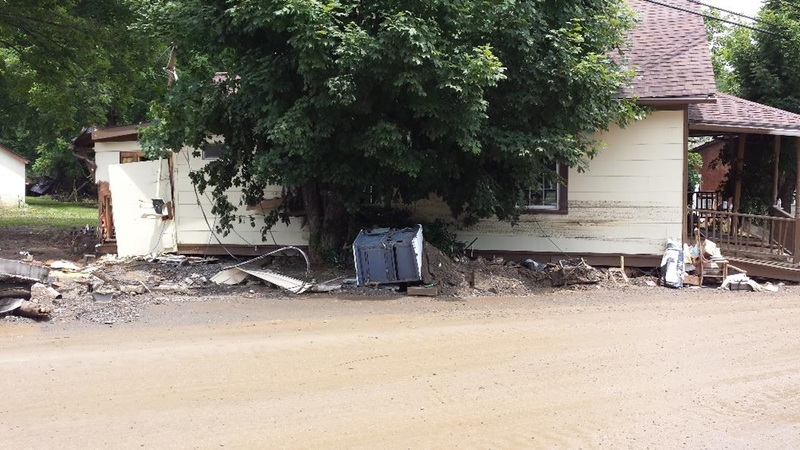 If you knew that a flood event like this was ONLY going to happen once per 1000 years, a community could plan to cope, rebuild, plan for the next one WAY down the road. But, the fact is that climate science has been predicting an increased frequency of these type of catastrophic rain events for decades, and it is now happening. Some experts refer to these localized heavy rain events as “water bombs”! Floods from unprecedentedly high rainfall amounts are happening on a more frequent basis. The link between Climate Change, economic cuts to infrastructure, decreased environmental regulations and disaster preparedness funding, and our recent floods is not a mysterious coincidence. Yet, it is almost a certainty that churches and faith communities will be increasingly called upon to help deal with these kind of tragic events – either in “first responder,” clean-up, rebuilding, or gap-filling (i.e. food pantry, utility bill assistance, etc.) roles. So, is it “too political” to speak out about the need to meaningfully address Climate Change at the state and national levels, in order to alleviate the suffering of those around us who are increasingly caught up in “natural” disasters? This is a question to which I believe we should use the formula “What would Jesus Do?” to inform our answer. If you would like to support the work that Robin and others are doing to raise awareness about Climate Change and the need to prepare for more frequent disasters like this summer's floods, please contribute to OVEC at www.ohvec.org; including a note that your support is due to this article would be helpful. 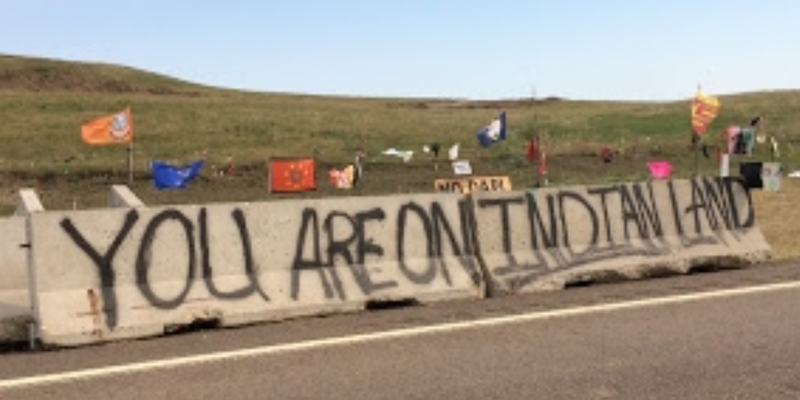 Paul Henschen drove to Standing Rock Reservation, where tribes were camping to protest the Dakota Access pipeline, with water supplies and food from his Presbytery’s (Northern Plains) Earth Care Team. Here is part of Paul’s account, sharing what tribe elders had to say about the pipeline after a large delegation of Native Americans from the Northwest arrived bringing a huge Totem Pole they were taking to a tribe in Manitoba. After the procession that brought the Totem Pole ended, everyone gathered with drumming, chanting and dancing. Speeches were made to welcome everyone. Elders from all the tribes formed a circle and took their turn delivering speeches. They were very eloquent, and much of what they said was hard for me as a middle-class Caucasian to hear, but they spoke the truth. They talked of how the present white-dominated society was harming the earth and that this pipeline was just another in a long history of acts of desecration of the Creator’s world. They declared that this campsite was a place founded on prayer, and that no drugs or weapons were allowed. They spoke of how their people had been on this land from the beginning, and how white society had tried to get rid of them, but that they, the Indigenous People, would still be there in the end. They said that they would pray for what was happening at Standing Rock, and that they would especially pray for the whites, because they would need it when they came before the Creator and had to answer for what they have done to the earth. All the elders expressed a strong sense of family and unity for the tribes gathered there, and that the stance by the Standing Rock Sioux against the Dakota Access Pipeline had made them a stronger family. These and many other things were said—all of them with conviction yet with a calm and gentle spirit. Violence of any kind was forbidden. After two hours of speeches, songs were sung and a prayer circle was formed--much of this in Native American language. A press conference was held after which I left to return home. Going home I took a northerly route toward Bismarck, ND, and about 20 miles north of the campsite a roadblock had been set up by police. Why, I have no idea. They were checking vehicles headed south toward Cannonball and the campsite. The Native American elders had spoken of this roadblock and how many of them had to pass through it. Days earlier, the North Dakota governor had also sent police to the protest because of unfounded rumors. This roadblock seemed to be there as a reminder of police power—an action that was totally unnecessary. The Standing Rock Sioux and the other tribes of Indigenous People had gathered peacefully to protest—as is their right. Instead of coming together with them to learn, white society raised its ugly head in a show of force that created tension and resentment. As I stood there listening to the elders speak, there was a great deal of wisdom being shared that our white-controlled society needs to hear. I was personally challenged by what the elders said, and I am continuing to wonder how my life needs to change. And what will be the response of our society? Will we listen and learn from those who were here long before our ancestors arrived? Or will we stay on the same course toward destruction of the earth and ultimately of ourselves? Click here to donate to the Northern Plains Earth Care Team to purchase more supplies for them to take to Standing Rock. Mark your donation for Presbyterians for Earth Care Team and note that it is for Standing Rock.